It’s been a very busy week at Empire in Flames. The server is barely a week old and already we have people very invested in the project. A day or so after launch, our very own Halyn was perusing the internet to see if any players had created videos. What he found is a true gem. Pauleh, who is very active in Discord and now in game, has created some fabulous videos. They are perfect for the person coming back to SWG. Most especially for those who never played in the pre-CU, they are invaluable. I, myself, fall into this category! The staff is enjoying these very much and look forward to seeing them. I wanted to know more about the player, so Pauleh graciously agreed to an interview. Directly below is a link to an Empire in Flames Playlist Pauleh created for us! I hope you enjoy them as much as the staff at EiF does! Thank you, Pauleh! You are amazing and we love that you are part of our community! 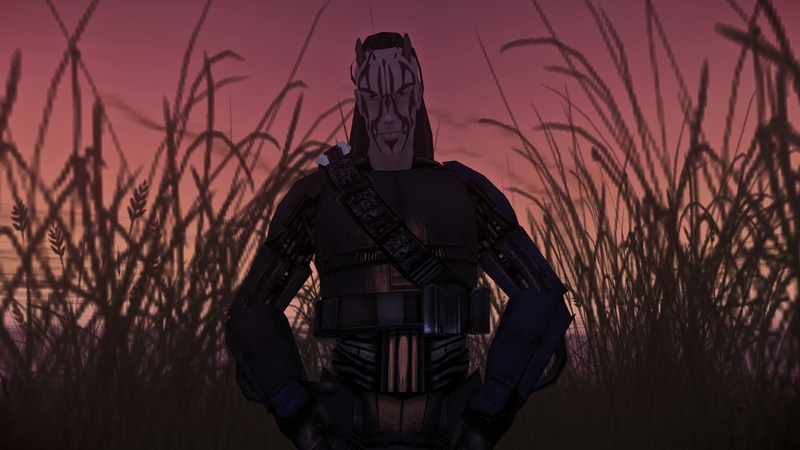 Description of Main Character: Just your typical good looking face tattooed Zabrak. I’m still working on a background for him as writing isn’t my strongest skill. I did, I believe I picked the game up early January 2004, playing it pretty religiously until the first combat upgrade at which point I was on and off a few months at a time. I’m a video creator and it’s what I do, however SWG has a very special place in my heart and it’s one game I’ve always wanted to cover and share with my viewers. I suppose I was waiting for the right time to dive into it and after hearing about Empire in Flames (By actually stumbling across one of Halyn’s videos) it seemed like a perfect opportunity. As far as my videos themselves, It’s never easy to make videos for MMO’s due to the nature of them, i.e. the content, leveling, questing, etc. So my approach has been creating a sort of video log documenting the progress I’ve made across my characters, and while doing that I’m able to branch off and explain game mechanics, as well as touching on EiF’s goings on. Describe your most fond memory of SWG? I have a lot of memories when it comes to SWG but the one I always mention whenever I talk about the game to anyone and infact I’ve mentioned this in a recent video. When I joined the game I had no clue what I was doing as it was my first MMORPG, I struggled and toiled around Tatooine until making it to Anchorhead. I ended up meeting a Wookie (sadly I can’t remember his name) who trained me in Brawler and showed me where to learn Teras Kasi Novice. From there we did missions and grinded xp until he said he had to go, his guild’s city was under attack and he needed to go and help defend, but before leaving he asked if I wanted to join his guild so I said yes. We arrive at his guild’s city which is located in a giant canyon, so all sides are surrounded by steep rocky slopes. There are Imperial players everywhere, some with their faction pets out (AT-STs) just battling Rebels in the streets, their goal was this guild’s faction bases they had set out. I make it to the Cantina where most of the Rebels are, buffing up and preparing to rush out, the guild leader welcomed me and said he could invite me now. So just me and him exit the cantina and make our way to their guild hall so I could be added, we had to make sure they had no line of sight on us as we ran between houses, all the while a massive battle was going on around us. In the end we made it and I was added to the guild, I’m pretty sure the Rebels lost that particular fight and the base was destroyed, but that was still one of the most fun and surreal experiences I’ve had in a video game. What prompted you to come to Empire in Flames? Halyn’s video showcasing the new playable species caught my eye, after that I started looking through all information that was available. Everything sounded amazing to me, it’s clear a lot of time and planning had gone into Empire in Flames, it was hard not to pass up. Not to mention being apart of a server from day one is an experience I never had in Star Wars Galaxies. What does a typical day in SWG consist of for you? A bit of everything really, currently I’m focused on gathering resources for my city. What do you hope your days will be like in the future? I hope they will be packed with plenty of PvP as well as some good roleplay experiences with folks. What is your favorite part of SWG? All of it… there really isn’t anything quite like Star Wars Galaxies. What was the race and class of your very first character? My first character was a Human and I went with Brawler, the first skill I fully mastered was Teras Kasi Artist. Describe your favorite place in SWG? Anchorhead, a small Rebel aligned town on Tatooine, fantastic for PvP action due to it neighboring the Imperial controlled city of Bestine. Would you put the phrase, “purple turtle” in one of your recordings? 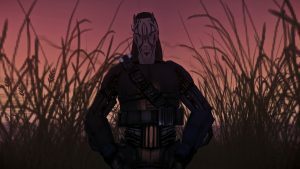 This entry was posted in Features, Friday Feature, News, Professions, Races, Roleplaying, Skills and tagged Friday Feature, Pauleh Plays, Star Wars, Star Wars Galaxies, SWGEmu, video by Sandarie. Bookmark the permalink.